Here are the steps for the project. I hope you have fun making it! Get all the supplies gathered. Cut 5x7 sheets from the cardstock. You can do this with the Cricut or you can measure it cut it yourself. Trace hand on vinyl with washable marker. You can wash it later to get rid of marks. A pen will not work on vinyl. I tried and it only wrote half the time. Peel back the vinyl and mount on cardstock. Open Cricut Design Space. 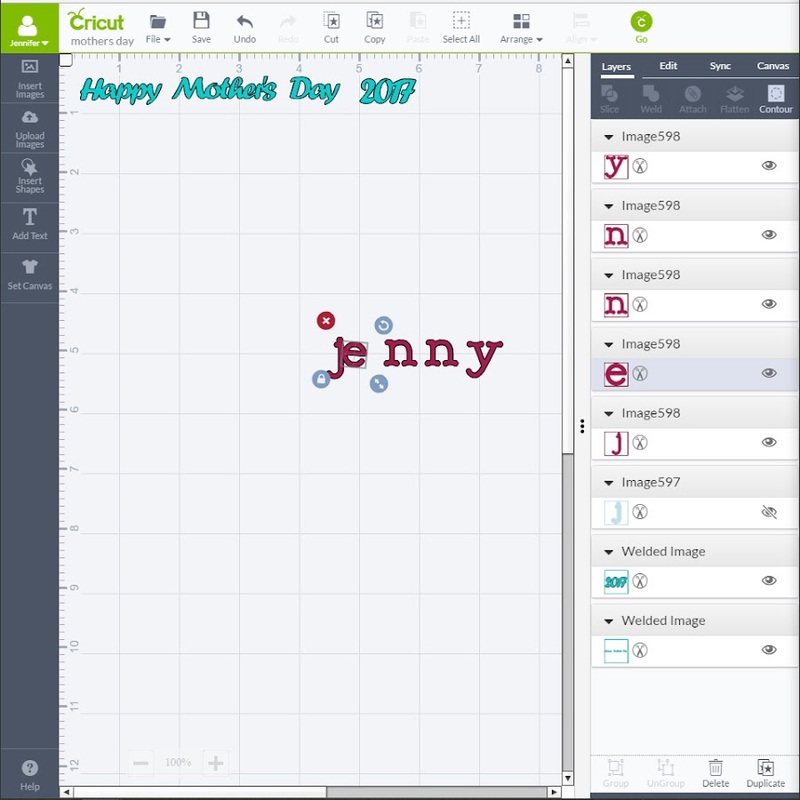 Choose font and write "Year (Current Year)" and "Happy Mother's Day". Make sure the letters are touching. It will be a lot easier to mount this way. To make the letters connect type out the word with the "Add Text" tool. Click on the word and click "UnGroup" at the bottom of the "Layers" menu. Now you can move the letters closer together. You can also tilt the letters slightly if you want. Next select all the letters and click on "Weld". Now you are ready to cut! Mount vinyl on Cricut Light Grip Cutting Mat. Insert vinyl into cricut machine and select your desired cutting depth. I had to go one or two notches past the vinyl setting because it did not cut very well the first time. Click on the Go button, select the number of copies you want and then click go. Cut the vinyl with the machine. Peel the excess vinyl from the mat using the Basic tools. 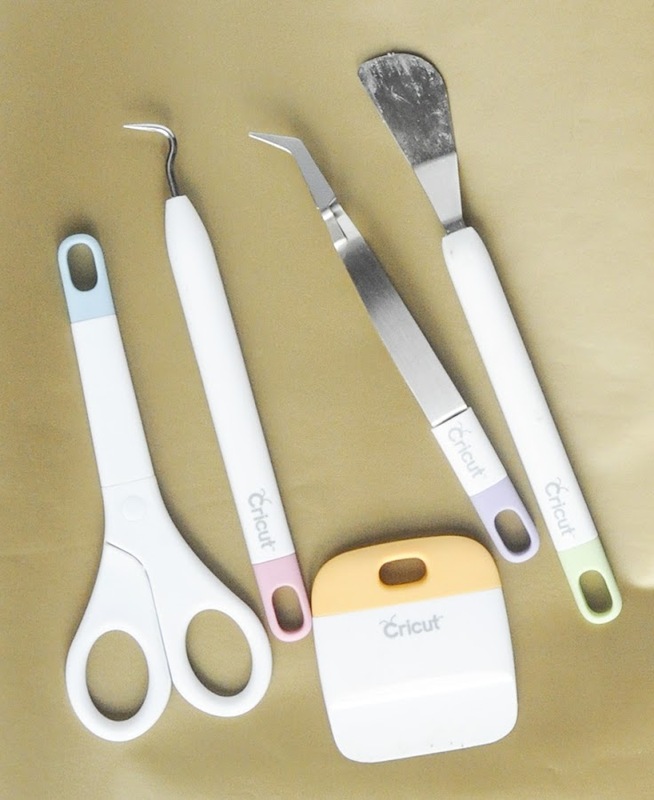 The tools make it so much easier and the design is less likely to tear. This is probably the longest step. I had to do it twice because the first time the cut was not deep enough and the excess would not separate from the words. Remove the vinyl from the mat either manually or with Cricut Transfer Tape. I opted to not use the tape because it would be one more thing to buy. I tried using contact paper, but it was not sticky enough. 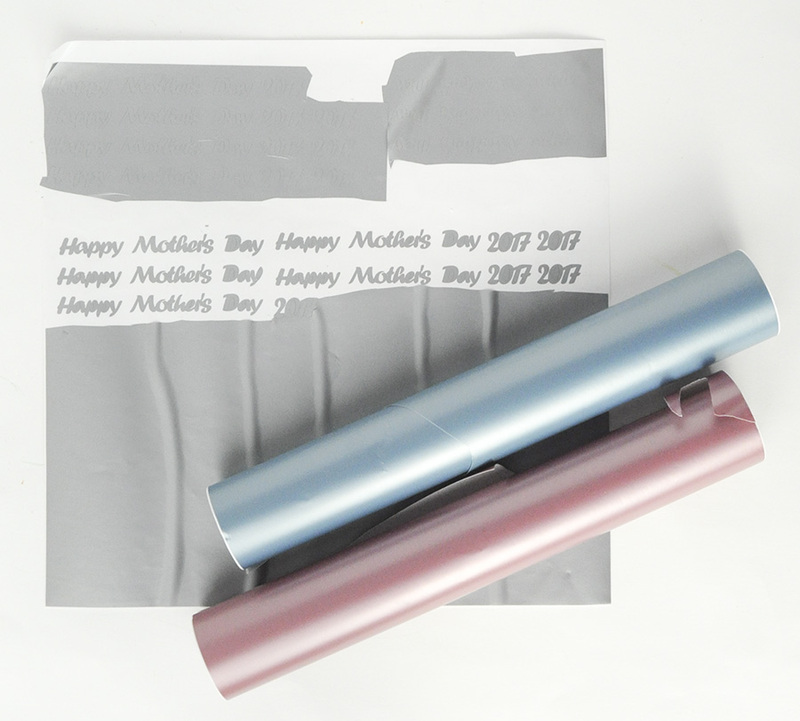 Mount "Year (Current Year)" and "Happy Mother's Day" onto the cardstock. Put the cardstock in the frame. You can paint the frame too if you want. Hope you have fun making this project. We sure had fun making it at our house. I've teamed up with some other bloggers for a giveaway. 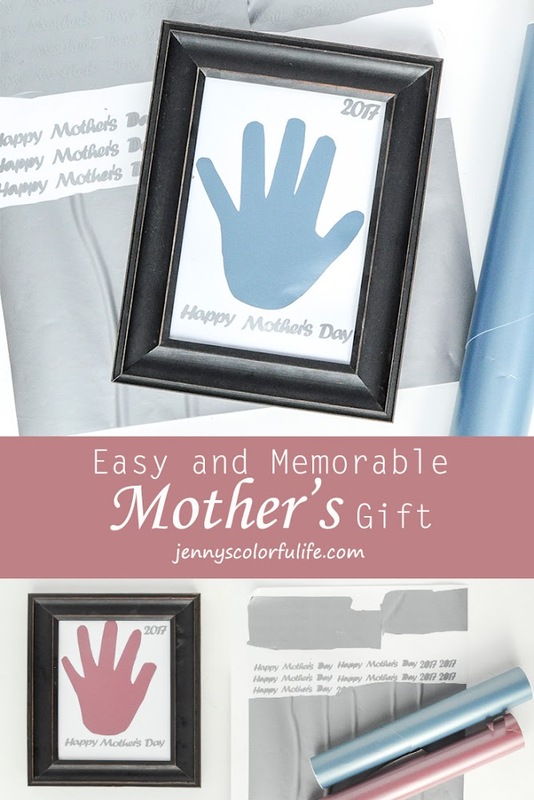 Check out these other amazing Cricut projects.